If Denver City Council and Mayor Michael Hancock gave firm directives to improve walking, biking, and transit, Denver Public Works would have to listen. Minneapolis City Council President Lisa Bender has a recipe for better walking, biking, and transit, and she thinks Denver can learn from it. “Every time we are touching a street, it’s an opportunity to make it better for everyone, but particularly for pedestrians,” Bender told a crowd of transportation officials and civic leaders at the Downtown Denver Partnership on Tuesday. She was in town with the Institute for Transportation and Development Policy, which is studying Denver and several other cities to create indicators of good sustainable transportation in the U.S. In Minneapolis, the public works department is widening sidewalks, striping bike lanes, and testing bus lanes at an impressive clip — and that’s no accident. City lawmakers enacted a strong complete streets policy in 2016 that spurred reforms at the agency. Lots of cities have complete streets policies that are supposed to compel local transportation agencies to consider all modes of travel, not just driving. But they’re often feel-good statements with no teeth — including Denver’s. The Minneapolis complete streets policy is different [PDF]. In four pages, it directs city staff to prioritize walking, biking, and transit every time they design, construct, or even repave a street. Denver has a complete streets document [PDF], but it’s an internal DPW memo from 2011, not a resolution enacted by the City Council, and carries zero political weight. It doesn’t help that the language is passive and vague, with a long list of exemptions spelling out when complete streets principles don’t apply. 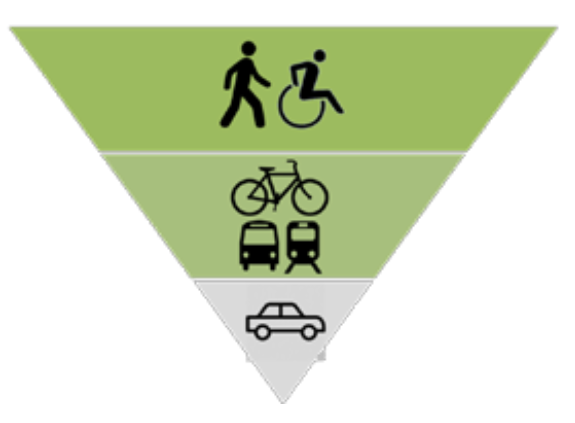 While the Minneapolis City Council’s policy states unequivocally that city staff should prioritize walking, biking, and transit more than driving, the Denver Public Works framework doesn’t explicitly value one mode over another. Denver’s document is designed to fail in other ways, too. Complete streets principles hold that safe sidewalks, bike lanes, and transit priority should be the default wherever feasible, but Denver lists six broad exemptions that let traffic engineers flout these rules at will. DPW could spike a potential bike lane, for example, because it might interfere with street cleaning. Or reject a dedicated lane for a busy bus route because there’s one on a parallel street. Minneapolis’s policy has just four exceptions, and they’re harder to dodge. For example, both documents allow engineers to forgo a bike lane or bus lane if they determine there’s no current or future need, but only Minneapolis’s policy mandates a written explanation of how that decision was reached. Adding real muscle to the policy, the Minneapolis City Council has to approve exemptions if they don’t align with adopted city plans. Denver’s weak policy has resulted in decidedly incomplete streets. Downtown streets remain dangerous cars-only traffic sewers even when they’re repaved. And even then the city does decide to redesign a street, like the Stout Street bikeway, the Hancock administration lets a few not-in-my-backyarders water down the project. Meanwhile, in Minneapolis, because elected officials like Bender take the complete streets policy seriously, the public works department does too. You can tell Minneapolis means business from projects like the wider sidewalks and bike lanes underway on Hennepin Avenue, a major thoroughfare where the city will have to repurpose 160 on-street parking spaces to make way for better walking and biking infrastructure. Bender said she met with Denver City Council President Albus Brooks and Denver Public Works Executive Director Eulois Cleckley during her visit. We’ll see if a legitimate complete streets policy gets their attention, or if they’re content with the incomplete status quo. DPW really missed an opportunity repaving all the streets downtown without adding or upgrading a single bike lane. The mayor and city council are great at talking about multimodal but it’s mostly empty rhetoric. Also notice that when streets are repaved, crosswalks and bike lanes are the last to be striped. Sometimes weeks later.